Two years ago, just before Louis Tomlinson was about to launch his solo career, his 43-year-old mum Johannah died. The then-24-year-old was left without his mum, as were his six younger siblings - the youngest being two-year-old twins. He's previously been very private about his mum's death, but he's now releasing a song about the impact it had on him. He told Radio 1 Newsbeat that writing the song was therapeutic. "I'm not at the stage in my grief where I'm going to open the first verse and burst into tears," Louis says. A tease of the track on social media sees him write the lyrics: "I'll be living one life for the two of us." "It was something I needed to get off my chest. I used to lean on my mum for a lot of things - anytime I needed advice on something she would be the first call I made." It was "a tough one" playing the new song to his sisters (the ones old enough to understand, Louis says) because he "didn't want them to get caught up in the sadness". When Johannah died Louis felt he suddenly became responsible for looking after his siblings, which he says has helped him deal with his grief. "There is a lot of fight in life and I just get on with it," he says. "I'm quite a positive person but there's no two ways about it - it's sad what happened to me." He does admit he didn't feel brave enough to write the song alone but that the process has been "empowering". "I don't want people to get caught up in the sadness of it," he tells Newsbeat. "The song should be hopeful." 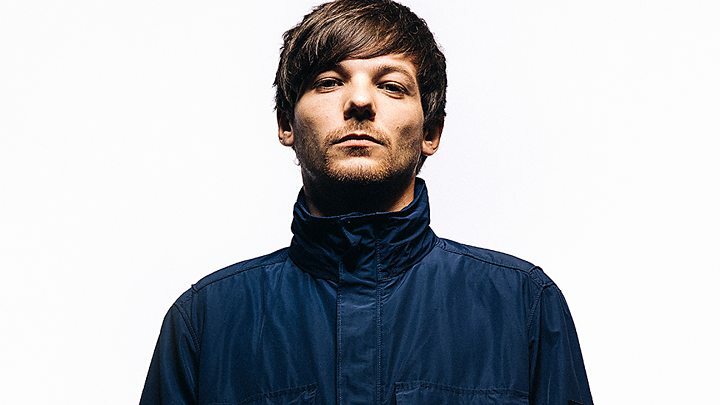 Image caption Louis says it's been "really difficult" not having his mum around and he's "still running off her belief"
One Direction's global fame meant fans also interacted with their family members on social media. Louis' mum often responded and it was for that reason hundreds of thousands of people messaged Louis after she died. "I've never felt anything like that before," he tells us. "I wouldn't have normally thought I needed that, but I did and it definitely helped." It's going to be the only song on his upcoming debut album, out later this year (he promises), that touches on "something really dark" but the intention is for it to help others. Two Of Us is the "next step" in Louis' grief and when he performs it he'll "be drifting off" thinking of his mum. But his siblings will also be on his mind too. "Me as their big brother - if I can sing those words it'll hopefully help them too." You can find advice about coping with grief here.